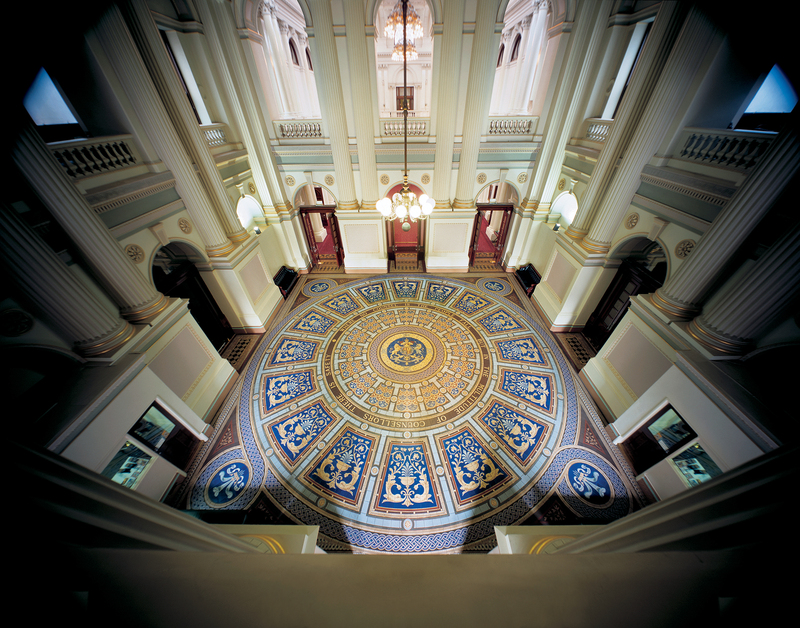 Take a guided tour through the Parliament of Victoria and find out how our laws are made. Experience the Parliament’s stunning architecture and classical decoration, including impressive gold–leaf. Visit the Legislative Council (the Upper House), Legislative Assembly (the Lower House), the beautiful library dome and parliamentary function rooms, and explore an array of historical displays and photographs. If you’ve ever wondered where laws are made, take this opportunity to step into the corridors of power in Victoria. Tours will commence 9am, 10am, 11am, 12pm, 2pm and 3pm. Presented by Parliament of Victoria. We encourage you to take public transport to Law Week events. Plan your trip using the Public Transport Victoria Journey Planner. Contact Tours Office from The Parliament of Victoria.